Who is the Evergreen Project Owner? On May 21, 2017, Tai Nguyen Construction – Production – Trading Company officially launched the Evergreen real estate project in District 7. Tai Nguyen’s investor is a company established on March 29, 1996 with chartered capital of VND2 billion. At present, Resource is focusing financial resources on investment and real estate business. With more than 14 years of experience, Tai Nguyen has achieved certain achievements in the world and has its own place in the market. The successful projects and leaving the mark of Resources on the market are Kenton Residences, Vinatex Building, tunnel over Hai Van pass, Evergreen Q7, ..
For the Evergreen project, the enthusiasm of Tai Nguyen together with the prestige and professionalism of TNR Holdings Vietnam has created a modern and high class resort – TNR Evergreen in District 7. 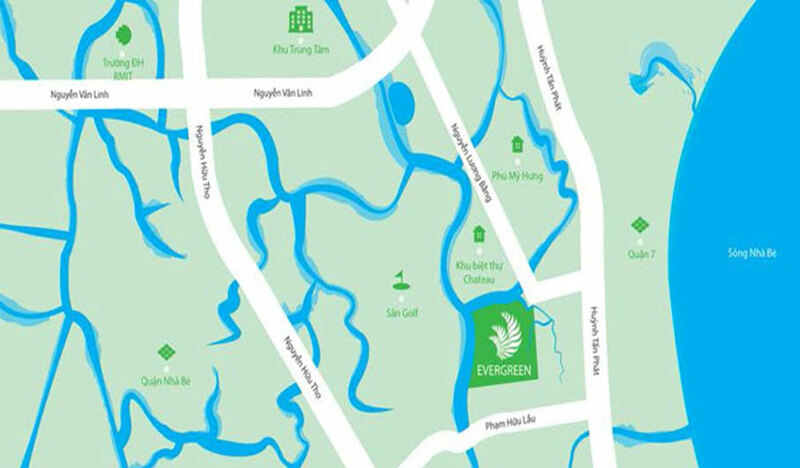 The Evergreen apartment project is located at the corner of Hoang Quoc Viet and Nguyen Luong Bang, adjacent to Phu My Hung and facing the VIP Chateau. The Evergreen villa is surrounded by 3 rivers, thus ensuring the feng shui factor for this million dollar project. The traffic from the Evergreen project is also extremely convenient due to the ability to easily connect to the commercial, service and administrative centers in District 7. – The 1.5 km long panoramic swimming pool is one of the highlights of the Evergreen project in District 7, providing comfortable and classy accommodation for the owner. 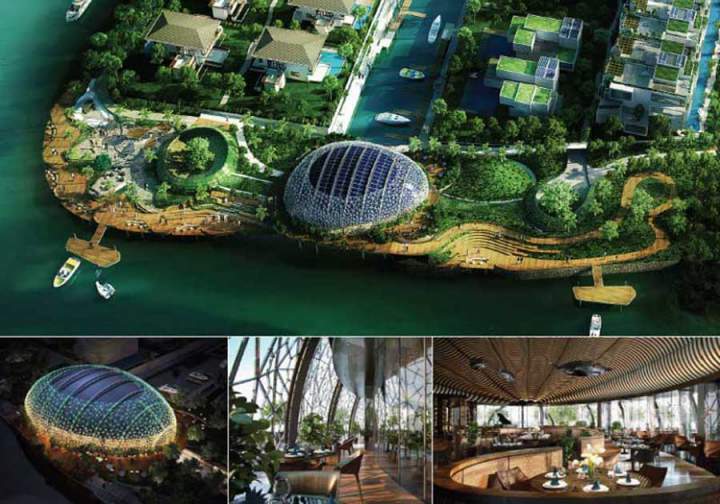 – 1000sqm HyperNest bird restaurant, 700sqm InNest. This is considered as an architectural symbol for the Evergreen project in particular and for the real estate market in general. Owning a unique, eye-catching design, the unique South East Asian chicken nest restaurant, HyperNest, serves all residents of Evergreen on a five-star basis. – The Best Marina Marina is international standard with over 300m in length and accommodates up to 11 yachts. At the marina there is an automatic opening and closing system to provide and maintain a steady water level. Each type of cruise ships own piles. 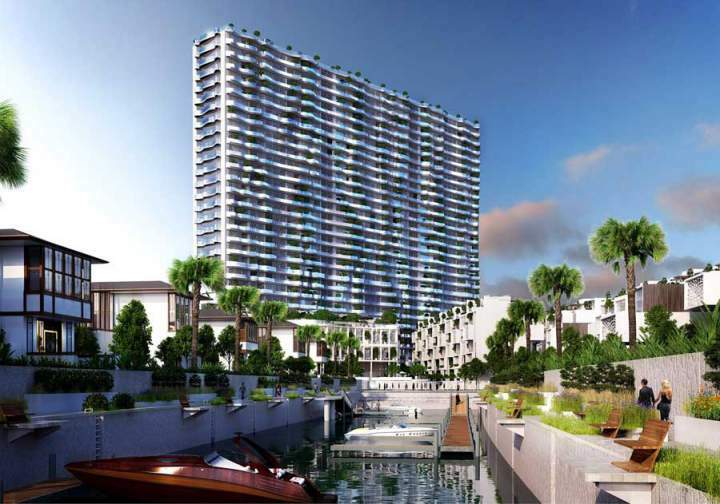 Marina at Evergreen is a “bright spot” in the project in District 7. Unlike many other mid-sized real estate projects, the Evergreen luxury villa project attracts buyers by its unique design. Evergreen project is designed in modern style and class, honoring the user value. Evergreen’s designs are geared towards the convergence of quality and the highest spiritual value. The Evergreen 5-star apartment complex was built as a compound of contemporary Parametricsm architecture, both modern and neo-classical. In addition, Evergreen apartment project invested 7000 sqm of trees and water surface is harmonious combination of living environment at Evergreen close, in harmony with nature. 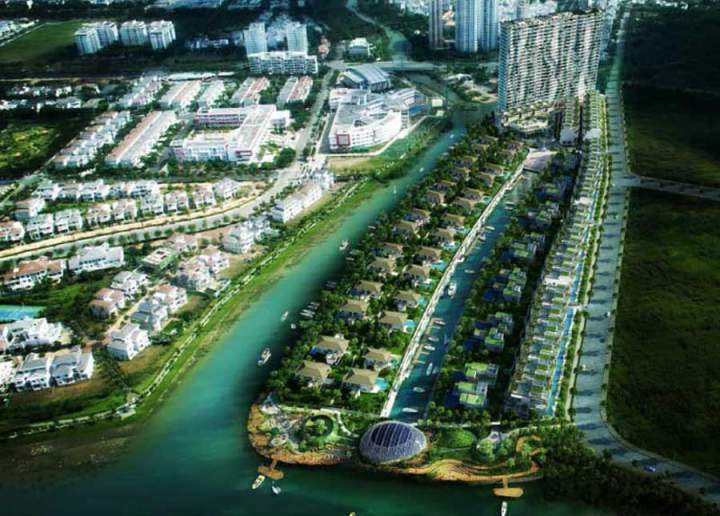 The Evergreen project has caused a lot of buzz in the market since the end of March, but in the first half of June, it launched the first 30 City Villas in the market. Each unit is completed the construction. 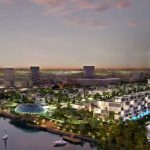 During the first openings, 30 units of City Villas with area of 128 sqm each, owned by Resource Manager and TNR Holdings’ management and development unit were sold at VND31-35 billion. The Evergreen apartments will be handed over to the owner immediately after signing the contract. 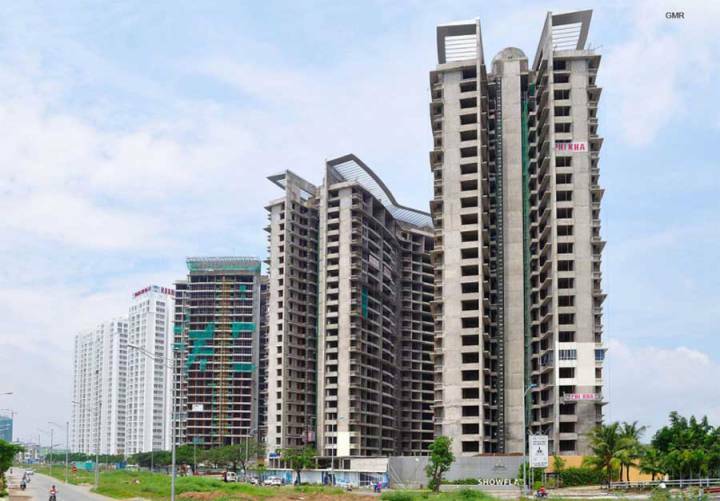 You are reading the article Information about 5 star Evergreen project in District 7 in the Real Estate category at https://realestatevietnam.com.vn/.Any information sharing, feedback please email to info@realestatevietnam.com.vn, Hotline 0909890897 (24/7).